I love your embellishing and the title is awesome! I love this paper line…I use it often! Great journalling! Lovely page! Love the colour scheme! Great patterned papers! Awesome take on the sketch! wonderful embellie placement, wonderful paper collection!!! 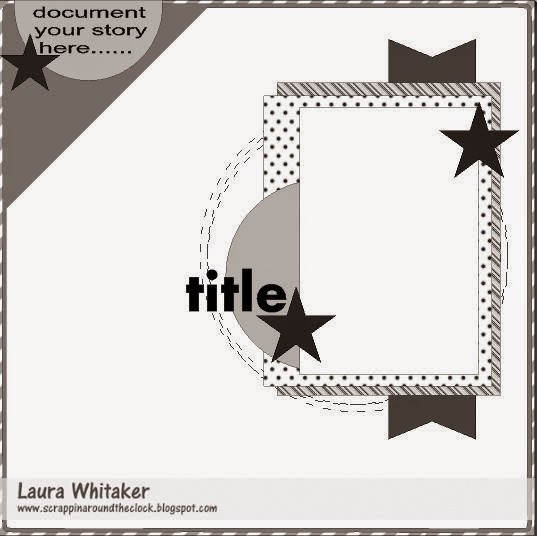 Thanks for stopping by my blog and leaving your feedback on my layout using the Cocoa Vanilla Studio papers. Unfortunately, CVS does not have a US distributor at this point and purchasing from the store with direct shipping is the only option to be able to get them to you. Shipping may not be as much as you would expect though (Perhaps $8-$10 US? With the exchange rate it's certainly cheaper than the other way around when we pay to get things sent to us in Australia.) Maybe if you get a couple of friends together who are also interested you could purchase together and split the shipping cost? If another option becomes available for you ladies overseas I will be certain to announce it on my blog. Thanks again for stopping by, I really appreciate it. Great page, love the embellishing!